Annette's pieces: Wanne meet my new little friend?? Anything special is happing around thh world?? First I want you to meet my new little friend, and also from the kids, because they play a lot with her. I was making 2 things togheter. 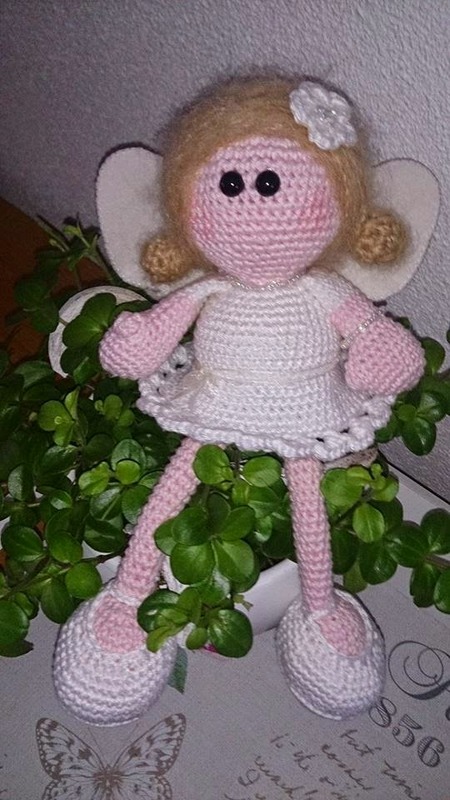 It's a dutch pattern called Eefje, I give it my own twist, and made her in to a little Angel. Kira named our little doll Fladder, cute name.. This how it looks on me, the color change, with the light, It really looks like it on the table. It fit great and sits very comfy... I love it!!! Two weeks ago was the big craft fair the Kreadoe, where I go to every year with my MIL. I bought 2 colors of the beautifull crochet yarn on the right. And ow ow, look at the boat and the other great felt pieces. Look at the funny pic my MIL made from me in a painting with big lady's. 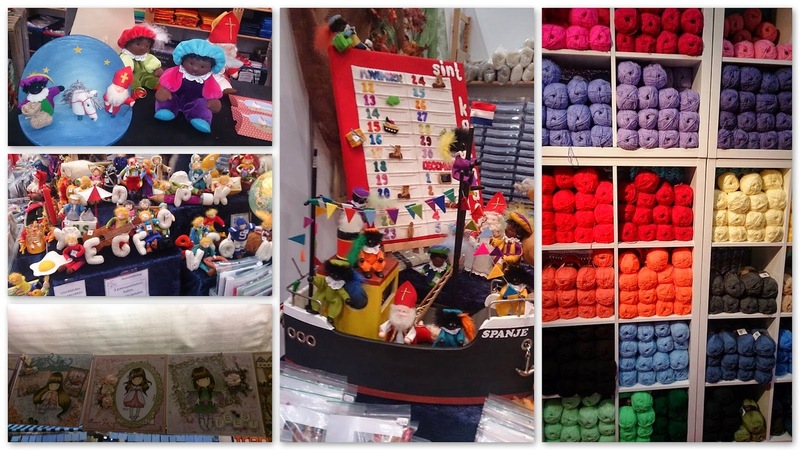 The craft fair was in Utrecht, a big site in the middle of the Netherlands. 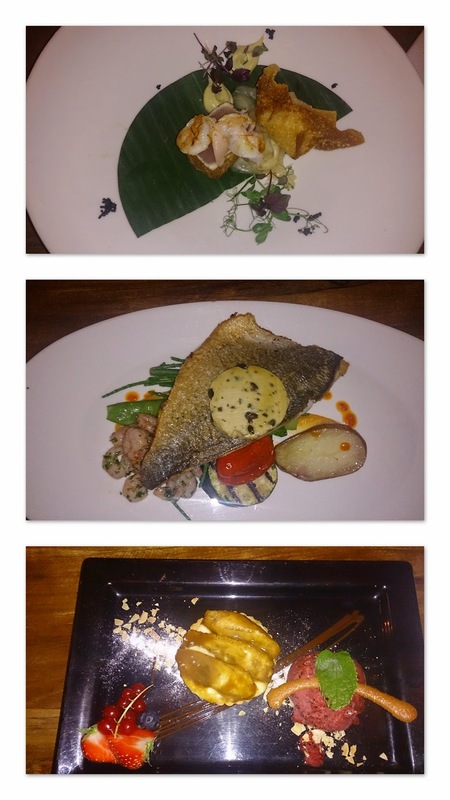 It tasted so AMAZING.. really great..
Then Saterday was the day that Sinterklaas came with his boat to the Netherlands all the way from Spain. Every day we see 10 minutes on TV what he is doing, the Pete's getting ready to spoil all the kids. 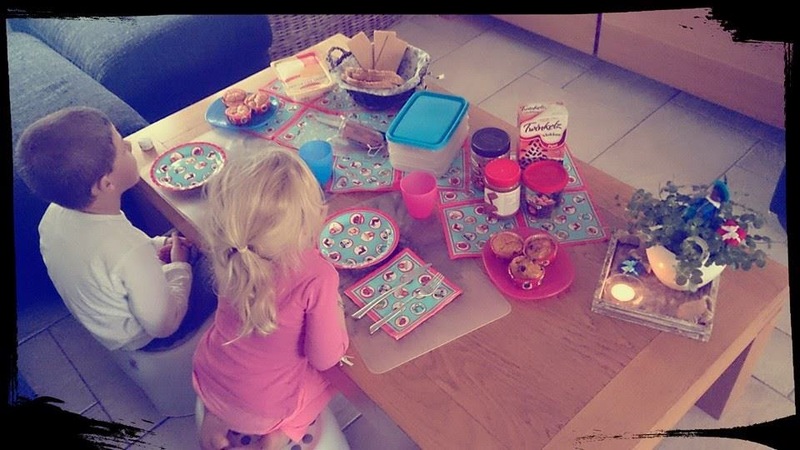 On the 5th of December is the birthday of Sinterklaas, the day he will give all the kids present. Most of my followers will now we really love this man and all around it.. I put all my decoration in the living, and made something new but that's for another post. It's a very happy time.!! Wat een leuk rokje weer! Welk garen heb je gebruikt? en welk patroon? Eefje is geweldig en je rokje staat je super. Bedankt voor je verhaal, ik heb er van genoten. The skirt fits you perfectly, lovely!! I don't know anything about that funky painting. Either we don't do it here, or I'm just not hip enough to know about it! Tell us more. zo'n lief feetje, je rok is ook erg mooi. 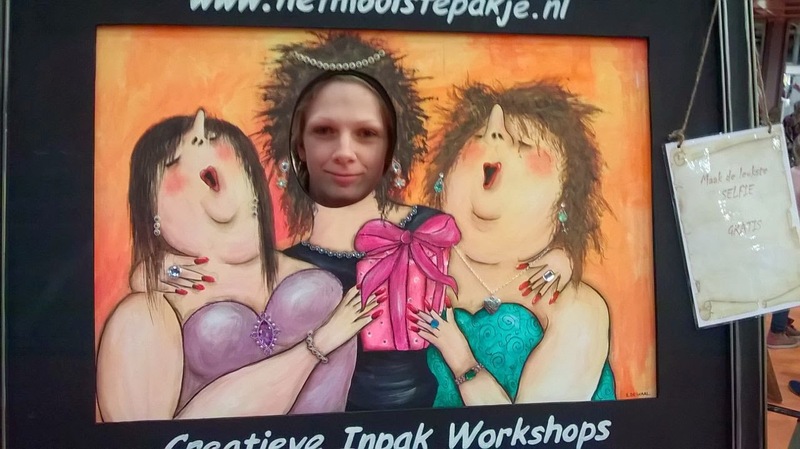 Leuke blog en foto's. Sinterklaas, fantastische tijd vond ik dat. Stiekem ook een beetje eng. Je kleurverloop in je rok is super. En de nieuwe pop is ook gaaf. Leuk dat je dochter ook eraan mee helpt. Gezellige blog weer. Je bent lekker druk geweest. O, ja ik ben ook naar kreadoe geweest. 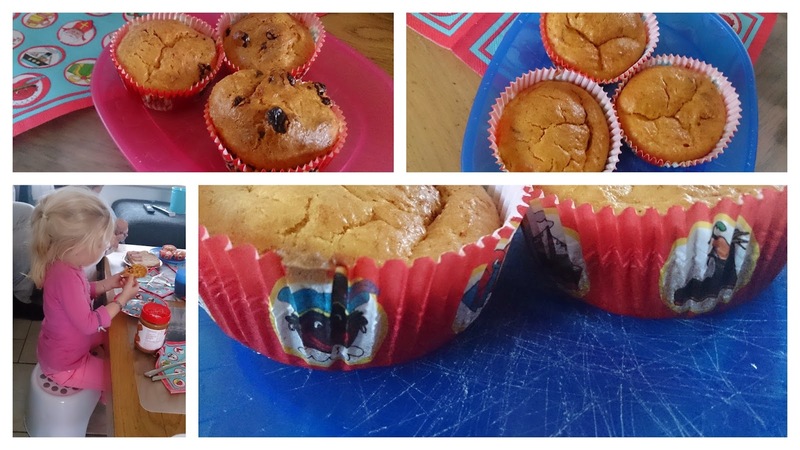 Wortelcupcakes nog nooit geprobeerd, maar ziet er lekker uit! De pop is werkelijk een schatje! En je rok ziet er ook erg leuk uit! You make the sweetest things Annette! 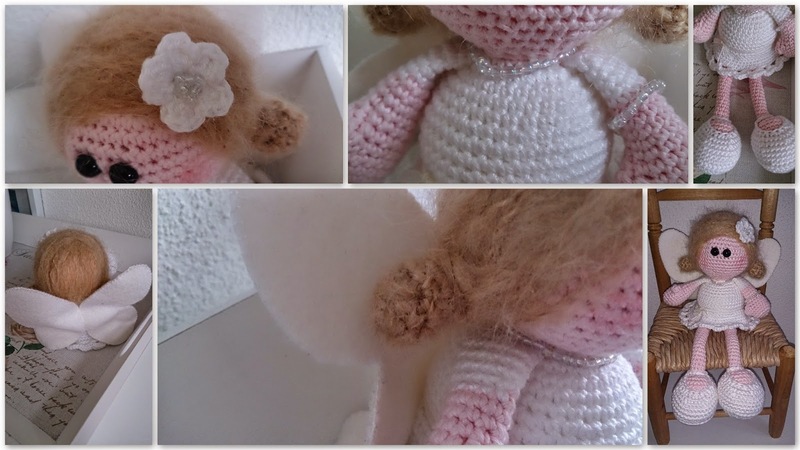 I love the little angel doll and I'm sure your daughter does too! 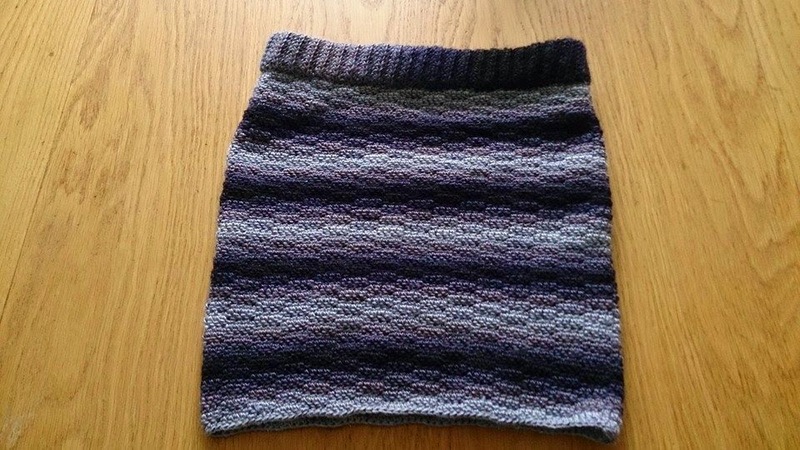 The skirt is fantastic and looks very comfy! I didn't notice the bed at all :D So neat you celebrate Sinterklaas on Dec 5. We once celebrated St. Nicholas' day on the 19th or something like that and had lots of candy and gifts. The kids look like they had fun! HUGS! Your skirt looks awesome! Really cool :) well done! Aww... your little angel is so cute! I am always amazed at how quickly you create something new. It seems to take me forever. And your new skirt is wonderful--a perfect look for you, Annette. Hope you have a wonderful, creative week ahead! !